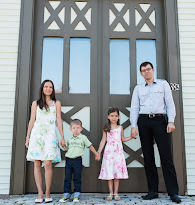 We are a musically inclined family and music is embedded in our genes. My grandfather composed music and was a conductor and my father still writes original music and performs regularly. I was raised mostly on classical that my mother is fond of and it is still my preference despite the enormous variety of what I listened to in adolescence. When I was pregnant with baby E, playing classical for her just came naturally. It was a way for me to relax and to reflect on carrying a little human being in my womb. When she was born it was instantly clear that she preferred classical to anything else. Whenever she was fussy I would turn on classical music and she would change instantly, attentively listening to familiar sounds. Music has been a great tool for me in parenting, especially when everything is new and unknown with the first baby. I discovered Lovely Baby Music when browsing online and I turned on the sample music for my toddler to hear. She was very fascinated and started calling out the sounds she was hearing saying 'lyalya, vodichka, bim bom' in Russian, which means 'baby, water, ding dong'. We were sent a Baby Christmas 2 CD and the Lovely Pregnancy 3-CD Collection for review. Our experience: We first listened to the Lovely Pregnancy CDs (and no, I'm not pregnant!). There is really nothing that designates this music for pregnancy only the name of the CD and the tracks, you don't have to be pregnant to buy it. It is calm and soothing instrumental and piano music. We enjoy having it on in the morning, it makes for a relaxing breakfast and time for me and baby E to interact. By the way, this is a great way to avoid turning the TV on if you are used to 'background noise'. I would much rather have this music on to listen to with my toddler, than the television that inhibits our interaction, changes her behavior, and does not benefit in social development. I also enjoy playing this before bed while we read or play quiet games with baby E.
Though we do not celebrate Christmas in the way that most people do, we enjoyed the Baby Christmas 2 with familiar tunes. I actually found it rather neutral, some of the tracks I didn't even recognize right away as Christmas songs. Baby E really enjoys dancing to this CD and hearing the sounds of babies and water. She asked for it today actually by saying "baby water music!" I would love to also try other baby CDs in the series with more nature sounds, upbeat music that baby E can dance to, and relaxing bedtime music. Who Would You Recommend this to? Pregnant moms-to-be, fussy babies, musical development for babies and toddlers of all ages. Great for background music during play and any time of day. Lovely Baby Music is generously giving Eco-Babyz readers a chance to win some CDs! One winner will receive a Baby Christmas 2 CD and the second winner will receive the Lovely Pregnancy 3-CD set! 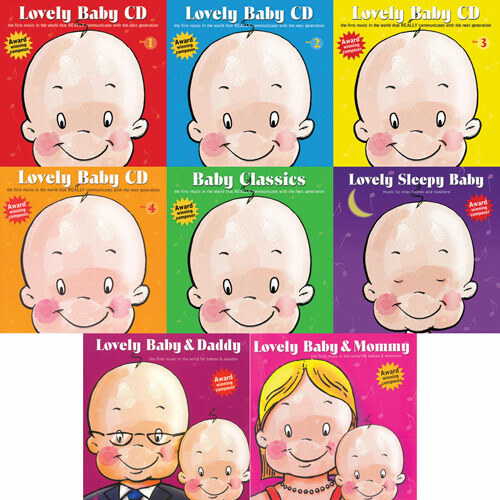 MANDATORY ENTRY: Visit the Lovely Baby Music website and tell us which CD (or set) you would like to try most. 2. Sign up for the Lovely Baby Music newsletter (scroll down to bottom of page to Join Our Mail List). 3. Join the Lovely Baby Music group on Facebook. Contest ends at 11:59 pm on Wednesday, December 1st 2010. Winner will be selected using Random.org and contacted via email. Open to US residents 18+. I would like to try the Lovely Baby & Mommy set. I would love the Music for Brains set. Thank you!